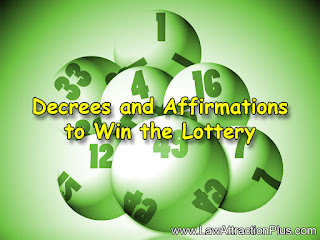 Decrees and Affirmations to Win the Lottery | Law of Attraction Plus: The Secret revealed! We'll give you here some positive affirmations to win the lottery. 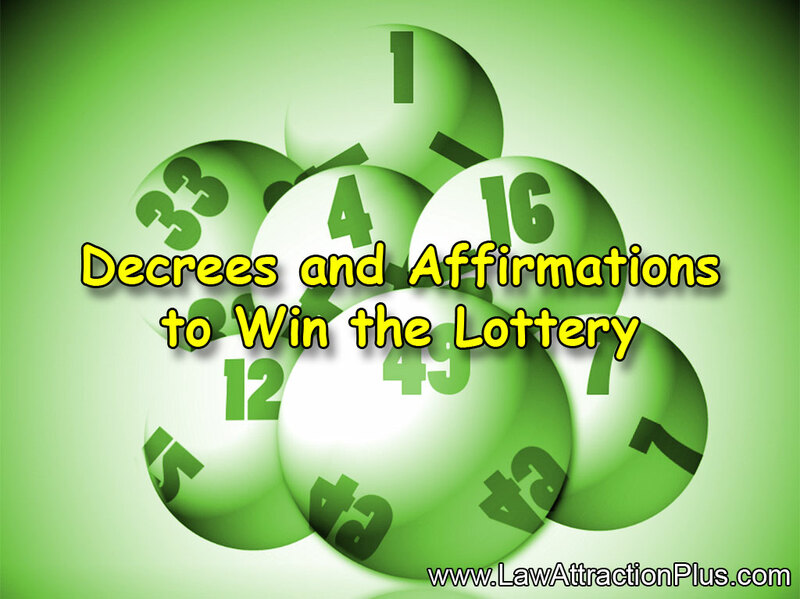 These affirmations will align your mind consciously and subconsciously, and this will unblock your intuitive capacity to predict the winning number in the lottery. Imagine how it feels to win the lottery, to know that you're financially free, and stress-free knowing you can take care of you and your family for the rest of your life. It is important that you imagine this and visualize how you will feel when you win the lottery and live a dream life. This will help you program the deep belief in your subconscious mind and make sure you own the mentality needed to attract a huge amount of luck. We recommend you use these affirmations, at least, twice a day: you will develop an instinctive ability to pick winning number, your mind will be totally aligned with the objective of winning the lottery and you will deeply believe in your capacity to manifest a millionaire lottery prize. Go ahead, give them a try, we think you'll be surprised with the results. I deeply believe I can win the lottery. My mind is in sintony with the strength of the universal luck. I'm destined to win great amounts of money. I always pick the winning numbers. I am a born lottery winner. I'm visualizing myself winning the lottery. I, naturally, attract good luck and money. My mind is totally focused on the selection of the winning numbers of the lottery. I'm attracting a big prize in the lottery. I'm going to win the lottery. I'm going to win the lottery and live the life of my dreams. Feeling the lucky numbers is getting easier and easier for me. I will totally focus on winning the lottery. I'm starting to deeply feel that I'm going to win the lottery. My belief in winning the lottery is getting stronger. I'm going to use the positive thought and the belief of getting easily the winning numbers. I'm going to use my intuition to pick the lottery winning numbers. I deserve to win millions of dollars. It is my destiny to win the lottery. Winning the lottery is something that comes naturally in me. Picking the winning number is natural in me. My mind is clear, focused and in sintony. Everyone sees me as someone naturally lucky. I have a deep connection with the universal force of good luck. I am the kind of person who's always winning money in the lottery. It's easy for me to visualize myself winning great amounts of money. I'll take care of my family and friends with my lottery winnings. I'll make donations to noble causes with my lottery winnings.